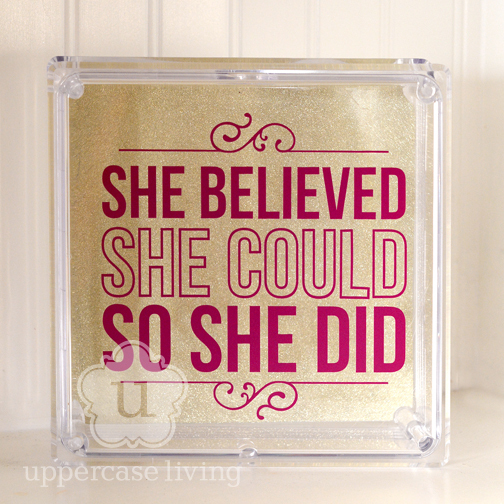 Uppercase Living inspires women to embrace their inner beauty and strength. 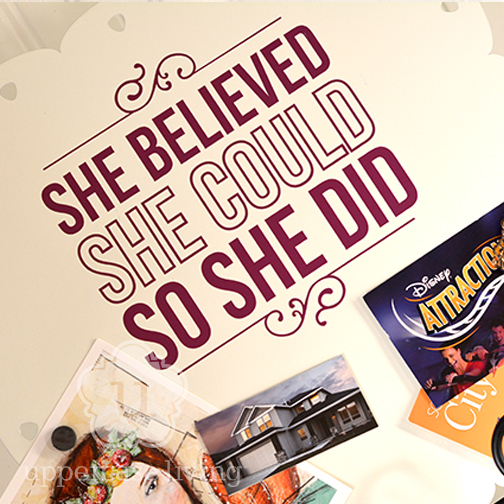 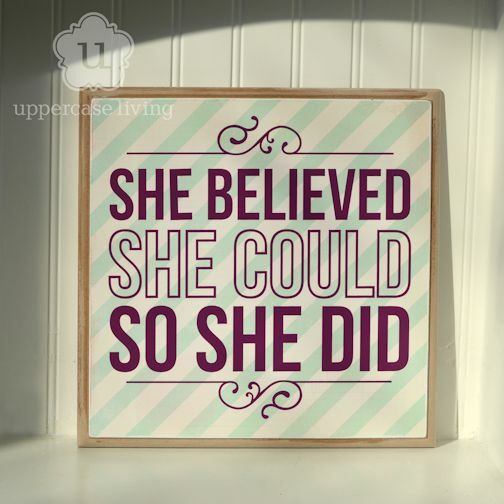 There is no greater expression that exemplifies this spirit than our “She Believed She Could So She Did” design. 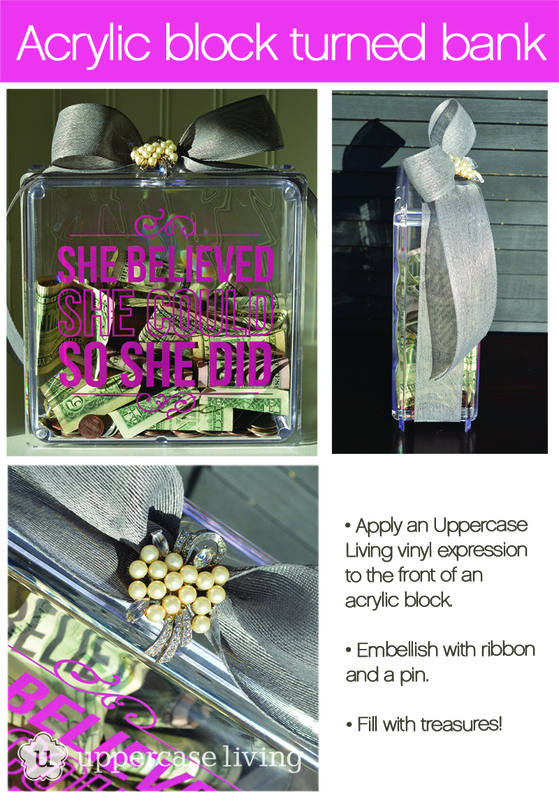 This simple and stylish design is perfect for every woman! 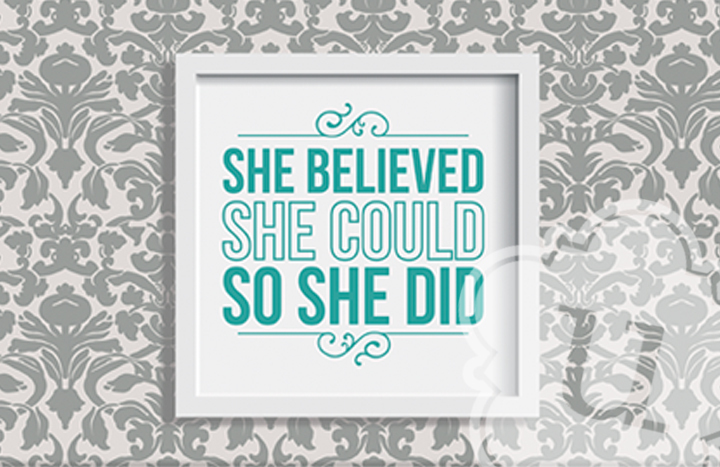 Share this with everyone on your list & on your social media sites to remind women of the difference they make in inspiring the lives of others.